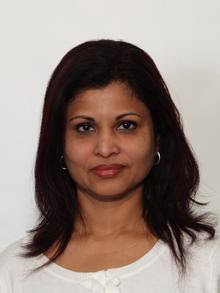 Ms. Rupa Shanmugam has been Vice President of Operations at SoPark Corporation since September 2012. Ms. Shanmugam has been with With SoPark for five years and served as its the Director of Operations. She has more than 20 years of experience in electronics manufacturing operations in Singapore, Canada and the United States. She is an electrical engineering graduate from Tri-State (Trine) University in Indiana. Yet another Malaysian-born is making waves in the international scene - a woman who is set to take over US-based technological firm, SoPark Corporation, later this year. 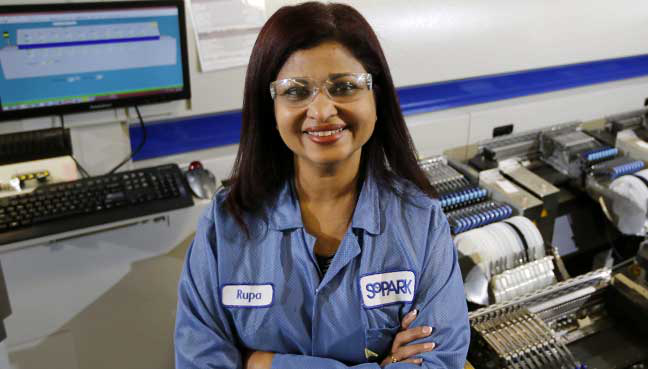 Kampar-born electrical engineer Rupa Shanmugam has been SoPark’s vice-president since September 2012. “Congratulations to Rupa is in order and thanks for making Malaysians and Malaysia proud,” Gerakan Deputy Speaker Syed Abdul Razak Alsagoff said. “Rupa, like many other diaspora Malaysians achieving excellence and success overseas, shows that Malaysians Boleh! “The question is this - why are so many talented Malaysians not achieving such successes in Malaysia?” he asked. “Malaysia is striving to achieve developed nation status and we are already an industrialised country. Why is it that we have an electrical engineer like Rupa not making it in Malaysia? “To achieve developed nation status, having an abundance of quality and competent human capital is essential for success. “The brain drain is now a national problem that is affecting Malaysia’s progress to become a developed nation. If we cannot retain our own talent, how do we expect progress?” he asked. Indrani Kopal says there are better career prospects outside Malaysia. Syed Razak, who is Gerakan’s nominee to contest N.37 Bukit Lanjan in the coming 14th General Election (GE14), said: “We believe there is no shortage of talent and ‘rocket scientists’ in Malaysia. “It is a matter of identifying them from young and providing them all the support in education that they need to keep them in Malaysia. This must be carried out according to meritocracy, nothing else matters,” he added. PETALING JAYA: Rupa Shanmugam has been interested in science and technology since her childhood days in Kampar, Perak. Today, she is the president of leading US-based technological firm, SoPark Corporation, a company with about 80 employees which she would take ownership of later this year. For her achievements, Rupa was last month awarded with the Women in Leadership Honoree by a New York-based women’s empowerment organisation, the Buffalo Niagara Chapter of NYS Women, Inc. Among others, the company manufactures circuit boards, electromechanicals as well as provides custom cable assemblies and design services to the medical device industry. STEM, or the field of science, technology, engineering and mathematics, has traditionally been male-dominated. But Rupa’s father, a physics teacher, had pushed her interest in STEM. “He encouraged me to pursue a career in electrical engineering as I displayed interest in the field when I was young,” she told a local New York paper in an interview recently. “I had helped him around the house with the wiring, plumbing and carpenting. He even called me his right-hand man,” Rupa said. Rupa was the only female student when she pursued a diploma in Electrical Engineering from the Federal Institute of Technology in Kuala Lumpur. After graduating, she worked at many large corporations in both Singapore and Malaysia as a technician, a rarity for a woman at that time. 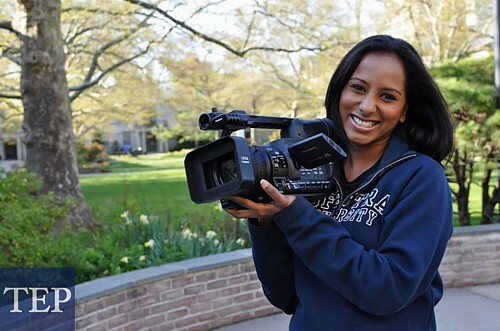 Rupa later studied at Trine University in Indiana where she earned her degree in electrical engineering. FMT intern Tan Chia Hee contributed to this article." Hope less brain drain in the future.